Under a 5 minute drive from Walt Disney World, this contemporary and comfortable accommodation is a great starting point to your holiday in Orlando, Florida. With scheduled shuttle services to Walt Disney World as well as Disney Springs you can take the worry out of traveling around Orlando. Buena Vista Suites also provides transport to nearby shopping outlets and the other major attractions are all within reach of this property. Rooms sleep up to 4 adults and 2 children and have a separate living area. The Buena Vista Suites not only offers a great location for theme parks and shopping but there are plenty of golf courses as well and it is an ideal property for couples, families and groups travelling together. 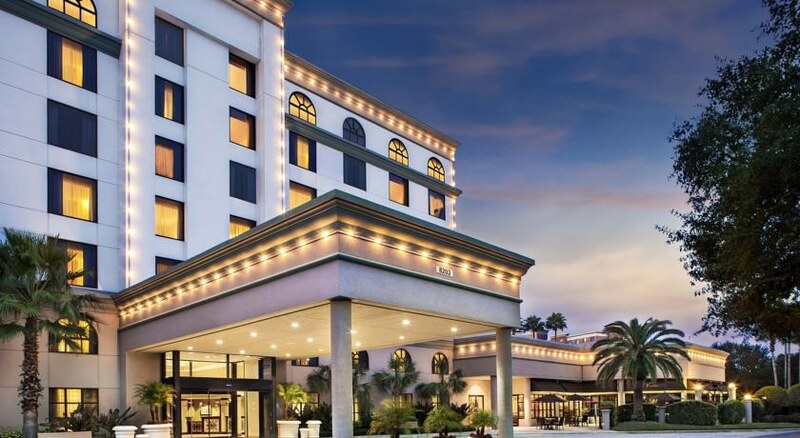 Found slightly outside the hustle and bustle of the main areas in Orlando, the Buena Vista Suites are still close enough to all the major attractions. You can easily access Walt Disney World (6.6 miles) with the free shuttle service, Disney’s Hollywood Studios (3.8 miles), SeaWorld (4.1 miles), Universal Studios (8.1 miles) and there is also a selection of golf courses nearby such as Falcon’s Fire Golf Course (1 mile). Enthusiastic shoppers can visit the Lake Buena Vista Factory Stores which is just 700 yards away. 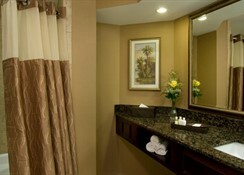 There are two suite types at Buena Vista Suites. The Queen Suite is 460 square feet and features 2 queen beds, a separate living area with sofa bed, fridge, flat screen TV and microwave. 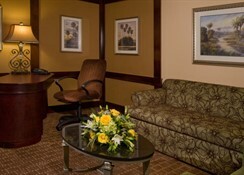 The King suites are 592 square feet with a king bed and sofa bed in separate living area and the same amenities as the queen suites. 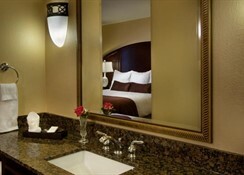 All rooms have free WiFi and can sleep up to 4 adults and 2 children. 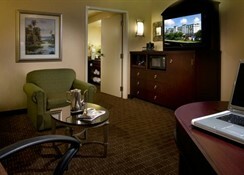 There are several dining options at the Buena Vista Suites. The Vista Bistro is an Italian restaurant providing a selection of dishes from Italy while the Venetian Chop House is found next door and offers steaks, seafood and is open from 4pm – 10pm Monday – Saturday (closed on Sundays). Guests can also visit the Bistro Pizza Express and the Valencia Room provides breakfast options from 6.30am – 10am during the week and then from 7am – 10.30am at the weekend. 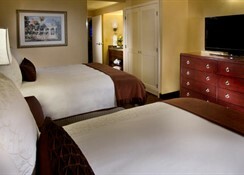 Buena Vista Suites is near to all the main theme parks and attractions. After a long day in Orlando you can pay a visit to The Island Spa which is next door or use the fitness room to keep in shape. Golfers can head to Falcon’s Fire Golf Course which is just over a mile away while shoppers have a range of options including the Lake Buena Vista Factory Stores and the Florida Mall.